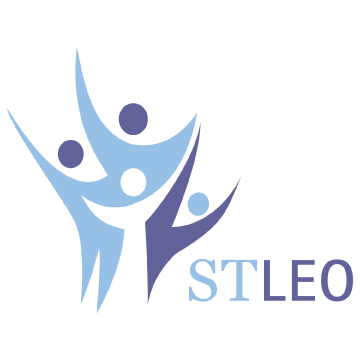 Since 1967, St Leonard’s Youth and Family Services (STLEO) has been providing high quality services for children, youth, and families. Through our youth services we provide a range of programs including emergency residential care, counselling, youth justice, family support, pro-social events, education and pre-employment. Our family services provide intensive counselling, outreach support, supervised access and drop-in programs for young parents. STLEO is accredited through CARF Canada and ensures standards are met and continuous quality improvement occurs. We want to be an employer of choice. We believe our people constitute our greatest asset. Our staff members tell us that they value a healthy and supportive workplace with strong leadership based on clear values. There are a number of positions held at STLEO. Each one requires specific education and experience. For example, we have entry level positions suitable for youth workers beginning their career as well as experienced senior counselling positions. STLEO enjoys a low turnover of staff, but our residential programs often do accept resumes. Please list the “Competition Number” on your application. You can apply for a job via e-mail. Please click the appropriate job title below to find the email address. To ensure that you meet the required qualifications of the job, please review your education, training, experience, skills, abilities, and knowledge before you apply. We thank all those who apply and advise that only those selected for an interview will be contacted. We would be pleased to receive a resume from any qualitied individual interested in being considered for hourly/auxiliary work within one of our emergency receiving homes for youth. Please be aware that our homes provide for 24 hour care and many of our shifts are overnight. Youth workers help facilitate personal, social, and educational growth in young people to help them reach their full potential in society. At its core, youth work is about the relationship and conversations built between a youth worker and a young person. We are responsible for providing youth a safe and clean place to stay during a transition in their life. Youth frequently have significant needs and require our support. Alcohol and drug use, behavioural issues and mental health concerns are prevalent with many residents. Our Youth Workers must be patient, have a desire to help youth, work well in a team and independently. All applicants must have strong communication skills and an ability to work with other professionals such as a social workers, police officers, etc. Ability to write progress notes, reports and daily logs is required. Qualifications: Must have or are close to completing a diploma or degree in social work, child and youth care or other related education. Experience working with youth and families.